Upright Brewing Co | Beer Blotter: Seattle based. World focused. Upright Brewing is one of the Northwest’s brightest young talents (to put in a sporting vernacular). In just 2 years they have managed to gain a much coveted spot on ratebeer.com‘s annual Top 100 Brewers In The World List (92 position) and they came in at number 14 in the top 50 breweries to visit list. I’m fairly confident that if rate beer had made a top 50 list of best beer labels in the world that Four Play label over there would be highly ranked as well. Needless to say, these guys are doing some really fantastic things. They’ve effortlessly coupled innovation with pristine quality and impressive craftsmanship. If you’ve had any of Upright’s beers and you’ve visited their basement brewery, I know I’m preaching to the choir. It’s mostly just exciting that they have been acknowledged so quickly, especially since so many amazing NW breweries go under the radar. For me, being a huge fan of saisons, Upright has become a brewery that I would rank very highly in my own list of most exciting breweries, either new, old or in between. Their use of open fermentation is something that is most intriguing to me. I still don’t know much about it, but it’s clearly working very well for these Portland fellows. There is no doubt that Upright Brewing is a great inspiration to me and should be to anyone that has a dream of opening a brewery. This anniversary party ranks up there in excitement levels (for me) with such recent Portland area events as the opening of the Cascade Barrel House and the opening of the Hair of the Dog Tasting room. The prospect of getting a few bottles of Four Play and Apricot Anniversary Ale are what cellar dwellers dream of. If anyone else is going down there let us know by adding a comment. Maybe we can hook up and chat beer. Oregon’s only farmhouse inspired craft brewery Upright Brewing is turning 2 years old and celebrating with a party on Sunday March 20th from 1-6pm at the Tasting Room. The party will also mark the return of perhaps the breweries most anticipated annual release Four Play a sour farmhouse cherry wheat beer aged in Pinot Barrels. During the last two short years the small production brewery just east of the Broadway bridge has been devoted to producing some of Portland’s most diverse range of beers, focusing on a French/Belgian inspired farmhouse-style, but brewing without inhibition as evidenced by their historic takes on English Old Ale and Oyster Stout or their authentic German Gose and Engelberg Pilsener. Upright recently added three new tanks, using one to produce a year-round hop forward German-style pilsener for draft only. It’s called Engelberg Pils, a nod to Mt. Angel where all of the brewery’s hops are sourced. The other two tanks will enable the brewery to produce more one-off draft beers and also allow production of at least eight annual seasonal bottled batches throughout the year. As always, the numbered beers that Upright has focused on since the beginning will continue to be fermented in our unique open-top tanks. The new year has also brought expanded distribution for Upright’s beers with Lime Ventures now bringing the bottles and occasional draft beer to the Northern California market adding even more west coast cities that include north to Seattle and Vancouver, B.C. In celebration of the brewery anniversary, it’s becoming tradition to release Four Play, a very Belgian-esque beer based on Upright’s wheat beer (named Four) but barrel-aged for a year with cherries, souring yeasts and bacteria. Four Play is blended from former pinot noir barrels that yield a rosy looking sour ale with wonderfully complex aromas and flavors. It’s always a limited release and the 2011 batch is represented by only 67 cases and 3 kegs, all of which the brewers believe is their finest and suitable for cellaring up to 5 years. In addition to the extremely rare Four Play one of only 3 kegs on draft Upright will also be releasing something even more rare in bottle, last years Apricot Anniversary Ale aged in Ransom Spirits Old Tom Gin Barrels of which there are less than 3 cases of 750ml bottles. To top it off look for a special cask of this years edition of the World Beer Cup award winning Gose stuffed Dry Hops and extra Salt. Photo creds/image creds go to......www.woodbloom.com. Last weekend, as you know from my and Timperial’s 52 Weeks articles on Hair of the Dog’s new taproom and Cascade’s Barrel Room, we journeyed to Portland. 1 woman, 2 men and a whole lot of beer stops. Now, we have all made the 2.5 hour drive on several occasions and every time we go, we make it a point to stop at places we have yet to try (at least one of the three of us, anyway). This weekend, we spent approximately 8 hours mapping the city for amazing beer and cool venues. We were successful. We arrive at 11:30AM and decide to grab something quick, but delicious to eat before consuming gallons of high ABV beers. Portland has this awesome food stand lot (SE Hawthorne Blvd and SE 12th Ave) which will fulfill almost any craving with a Mexican taco truck, a Creperie, a potato/french fry stand and a Southern food vendor. The highlight was a $6.00 crepe with chevre cheese, lemon curd and fresh black berries. This fruit filled, slightly sour and sweet lunch was the perfect opener for the Cascade Barrel Room. Now, I won’t go into too much detail. Interested? Then read Timperial’s review. All I can add is this is a must stop not only for sour beer fans, but for those beer drinkers who appreciate innovation and variety. Cascade offers up mainly sours consisting of fruit infused sours, barrel aged sours, blended sours and sour stouts. The House of Sour, as locals call it, also has a Dry Hopped Porter, Summer, Winter and Autumn Goses and an amazing Rye IPA and even more. Even on a gloomy day, the sun seemed to shine through the large windows. If you live close, I suggest coming here often, to try all of the beers, of course. Here you will find an extensive tap list, home brewing, a knowledgeable bar staff and a versatile space. Beers on draft range from local favorites such as Lucky Lab, Cascade (they even had a beer that Cascade didn’t currently have on tap) and their own home brew line. The Oregon Brew Crew has been brewing at the Green Dragon on a one barrel Nano-Brewing system for the last year and a half and have been consistently putting out a new great beer every week. Some of the beers created include: Alpha Dragon IPA, Chocolate Reign Stout, Golden Dragon Ale and most recently, the 5-Point Exploding Palate Technique. I wasn’t going to say it, but this is Rouge owned. With one Rouge beer on tap, this large brewery makes it a point to keep the integrity of the venues and breweries it buys and promote craft brewing! Again, we already sang our praises of this place. Did you see that amazing picture of the taster glasses? Epic! Check out the article here. This is a place I could hang out all day at due to the amazing beers on draft, the killer, vintage bottle list and the overall edgy yet welcoming feel that Alan Sprints new taproom/bar exudes. So, drop what your doing and spend a productive afternoon with Fred, Adam, Greg, Ruth and other HOTD brews. Located about 2 miles away from Hair of the Dog, this tiny brewery has caught our attention. Back in January we stopped in for a release party in their modest space in the basement of a shared commercial building. 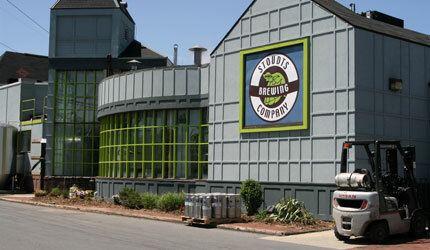 The space, upon entering has the brewery to the right and their tasting room to the left. Today we each got a beer (a farmhouse, a fresh hop which is their farmhouse beer with nugget hops and the SEVEN saison), sat at a tree trunk table top and listened to a duet play folky blues. A great vibe with great beer. Don’t over look this place. Our favorite New Old Lompoc location, SideBar was closed today (Sunday) so we stopped by their original brewery. A great outdoor area and an Irish pub motif, this place houses the equipment that started it all. 1 C-note and 2 Centennial IPAs were ordered. Unlike the SideBar which offers up exotic barrel aged beers, at this location, you will generally only find their regular rotated beers. One of the employees was nice enough to give us a tour of the brewery which is small, but well oiled and efficient. New Old Lompoc is a staple in the Portland craft beer scene, therefore, visit one of their spots! Like New Old Lompoc, Lucky Lab has a local brand you can’t ignore and several locations to enjoy their beer. We have visited two of the four locations and from what we see, we like. The two spaces are gigantic warehouses, open spaces with large, family style picnic tables eluding to the community essence that is the Portland beer scene. Two beers are ordered, their Porter and the Super Dog, a single IPA. Both are very credible and go down easy. Lucky Lab is a great place to get a sampler tray of beers and a snack (or a pizza if your starved). Even on a Sunday, all of Portland flocks to this restaurant/brewery. 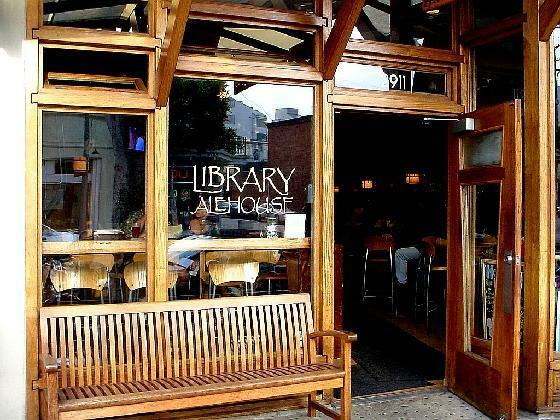 Maybe its their award winning beers or their extensive, delicious menu options. Either way, no matter how many times we visit Portland, we always end up here. This time, we had a goal in mind. 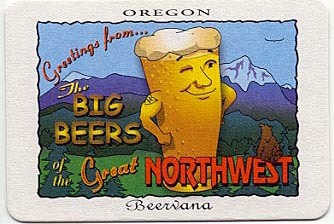 First, we had heard Black Butte XXII was on tap. It had kicked the day before, damn. However, we were able to indulge in the Mirror Pond Fresh Hop and had a growler filled to bring back North. Yes, you will wait 20 -30 minutes to get a table here and yes, it doesn’t give you that hole in the wall, charming “mom and pop” feel that I love about microbreweries BUT Deshutes does deliver high quality food and of course beers, every damn time. There are still so many more places you can visit in Portland. But on this day, with all three Beer Blotter writers on the road to find beer, we chose these places, not randomly but for specific reasons. If you have a favorite spot in Portland, leave a comment- let the world know!